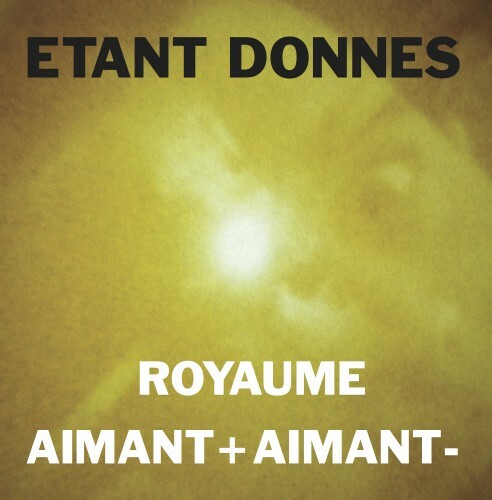 Royaume (originally a CD on Touch, 1991) is made up of 4 tracks and is a kind of purifying travel through the four elements which symbolically refers to the light evoked by the colour green, an allegory of the grail and of the light- carrier angel. As to the poems, they tend to amount to their essentials, as is the case in Matin which is both Taoist and surrealistic. Aimant + Aimant – (originally as a split 10”/CD on Danceteria,1992) presents itself as a magical alchemical mantra based upon the force of love, the force of life. Two pole like two bodies like two hearts like two magnets. Two pole like two bodies like two hearts like two magnets. The wind, the sea, the breath, the fire.